The Mishka Spring 2016 Lookbook is now live: Video & Photos. The Spring 2016 collection pays homage to Mishka’s roots as one of the original brands from the second wave of streetwear. The Spring 2016 Lookbook honors the classic collection’s energy with a no frills DIY (do it yourself) presentation. The Lookbook shows the new Mishka Spring 2016 in an unadorned and unpretentious fashion. The Mishka Spring 2016 Lookbook began with a simple idea: Forget the lookbook, let’s party. In place of a traditional lookbook, we have an experiential product. A group of 5 kids broke into the Mishka office one night, invited their friends over, dressed in Mishka Spring 2016 and threw a party. The group of 5 not only took over our office, but they invaded our Instagram (@Mishkagram) and Snapchat (Mishkachat) as well. They told their story to our fans in real time with the #MishkaBreakIn tag on Instagram. Dave Millican has been making championship belts out of his garage for WWE and other wrestling companies for most of his life. California brand illest presents this small capsule collection for Summer 2014 in celebration of the one year anniversary of its Orange County flagship store. With events being held on the weekend of June 13, the capsule collection includes two t-shirts, a raglan baseball t-shirt, two 5-panel caps, a snapback cap and a bucket cap. The caps in the collection feature reflective logos with a custom print. A nice lookbook for the small capsule offering has been produced, introducing all product available. State-of-the-art innovation meets traditional craftsmanship in the Nike Football Rebento duffle bag. The 3D printed base combines with a premium leather upper in a bold expression of technology and style. Designed for the game’s best players, only three bags have been created and will be carried by Neymar Jr., Wayne Rooney and Cristiano Ronaldo this summer in Brazil. Each bag features custom gold hardware with the player’s name. The bag references the stud plate of two groundbreaking Nike football boots—the Magista and Mercurial—with a unique graphic on the base of the bag. Taking cues from the Nike Flyknit pattern of the Magista and Mercurial, the laser-sintered nylon creates an intertwined weave on the bag’s 3D printed base. The 3D print also gives the bag body and creates a lightweight, yet durable structure that allows for flex. Handcrafted, premium leather is used on the bag’s upper and straps, which seamlessly fits into the 3D printed base without the use of glue or adhesive. 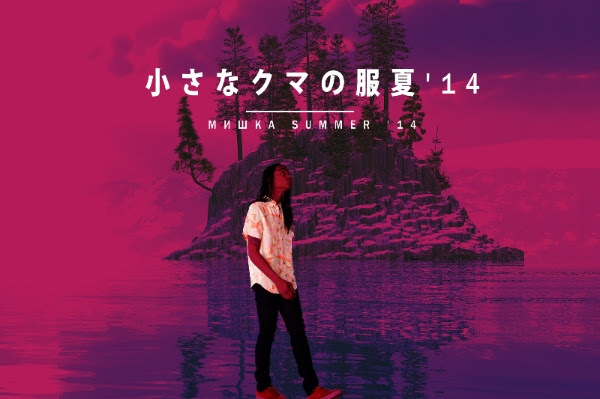 Mishka has just published its Summer ’14 Lookbook, which features select pieces from Mishka’s newest collection. It is a bold and vibrant representation of this season’s ecstatic aesthetic. The lookbook is inspired by the sunnier side of the deep web and a brighter version of Net Art. The Mishka Summer ’14 Lookbook tells an electric and eclectic story. This season finds Mishka’s aesthetic sensibilities coming full circle; we are treated to a range of classic and new graphics that bolster and extend Mishka’s visual vocabulary. Mishka’s iconic and uncompromising vision is realized in patterns that recall the unbridled chaos and excitement of a sweltering New York City summer. The clothing is complemented by a lookbook that accentuates the cut-n-paste pastiche culture in which we currently live. Mishka’s Summer ’14 Collection is available online now and in-store at Mishka 350 Broadway (Brooklyn, NY), Mishka LA (128 S La Brea LA, CA) and Mishka SF (3422 25th St. SF, CA). Take a look at the entire collection here.